The back seat seems to be a little “roomier” than normal, which wouldn’t make your kids or friends feel like a sardine during a road trip. It’s big enough to hold 4 people comfortably (the whole car, not just the back seat), and even 5 people comfortably, as long as the person sitting in the middle is a child. If you decide to go with a 2016 Toyota Corolla LE Sedan with no additional features, you won’t really find any revisions. In fact, the only thing I discovered involved the Special Edition model (the “S” model). These come with alloy wheels, which definitely makes the car look sporty, but there are also additional color choices you won’t find on standard models. If you already own a Corolla from 2015 and were looking to update your model, it might be a good idea to wait until 2017, unless you want the Special Edition. I could tell you all about everything else like the integrated technology, but it’s not going to matter. When it comes to inexpensive cars that already offer great fuel benefits and look good enough to call your own, the rest comes down to the test drive. 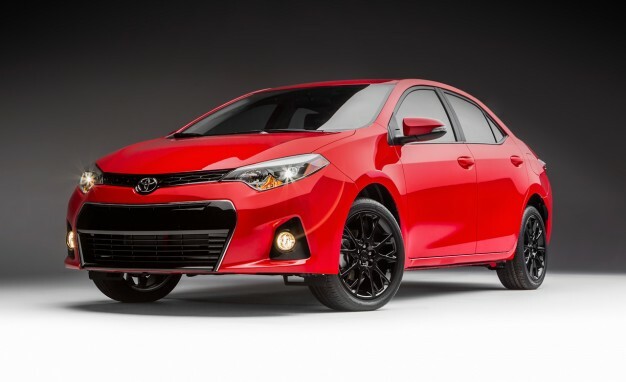 Hopefully the 2016 Toyota Corolla is a perfect fit for you and your loved ones. This entry was posted in Car Reviews and tagged Toyota Corolla. Bookmark the permalink.